Baked Brie is commonly served alone or baked with ingredients like shallots, caramelized onions, brown sugar or honey. While baked Brie can be used for a variety of different recipes, its strong flavor makes it best suited for an appetizer before a meal, part of a first course or as a dessert. 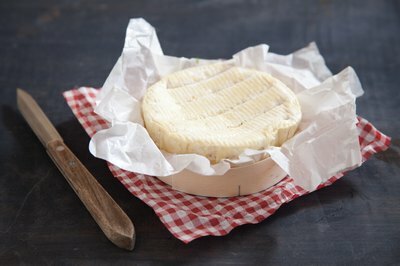 Baked Brie can be served warm or at room temperature, though it is most commonly served warm to maintain the rich, creamy texture of the cheese. 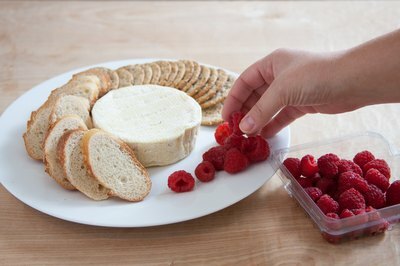 Serve baked Brie cheese with sliced rounds of French bread, Italian bread or whole wheat bread. Try to match the amount of cheese you serve to the number of slices of bread you put out so guests don’t run out, leaving leftover, unappetizing food that guests wont touch. Slice apples into thin slices and spread them out in a fan shape around the edges of a large serving platter. 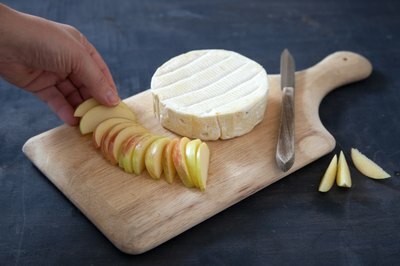 Place the baked Brie cheese inside the circle of apple slices and put two cheese knives around the edge of the plate so guests can serve themselves. Put two rows of mixed crackers around the edges of a serving platter, alternating the type of cracker in the rows. 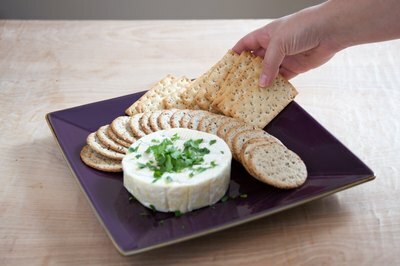 Put the baked Brie in the middle of the plate and garnish the top of the cheese with chopped fresh herbs like rosemary, oregano or herbes de Provence. Mix baked Brie with sautéed shrimp in a warmed serving bowl and toss to coat with large wooden spoons. 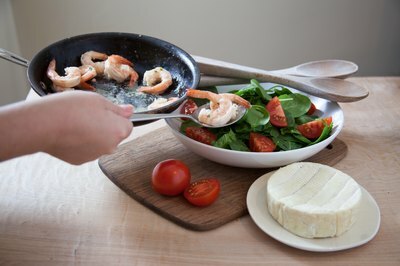 Serve the Brie and shrimp mixture with watercress, arugula or mixed baby greens and heirloom tomatoes for an elegant, unique salad. Serve baked Brie with fresh berries such as raspberries, blackberries and blueberries. You can pair these fruits with crackers or bread slices on the same plate if you wish. Pair baked Brie with sparkling wine or dry champagne, Chardonnay, White Rhone, White Bordeaux, Chablis, Sauvignon Blanc or Chenin Blanc. These wines can be served with food that has baked Brie as an ingredient or with a baked Brie appetizer like Brie and crackers or apple slices.